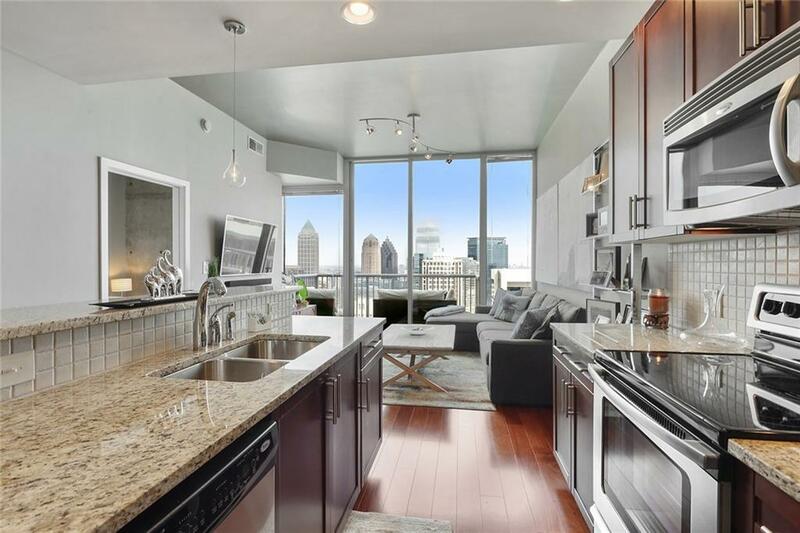 Introducing this Luxury 1 Bedroom 1 Bath Condo in Midtown's Most Desirable High Rise Viewpoint! 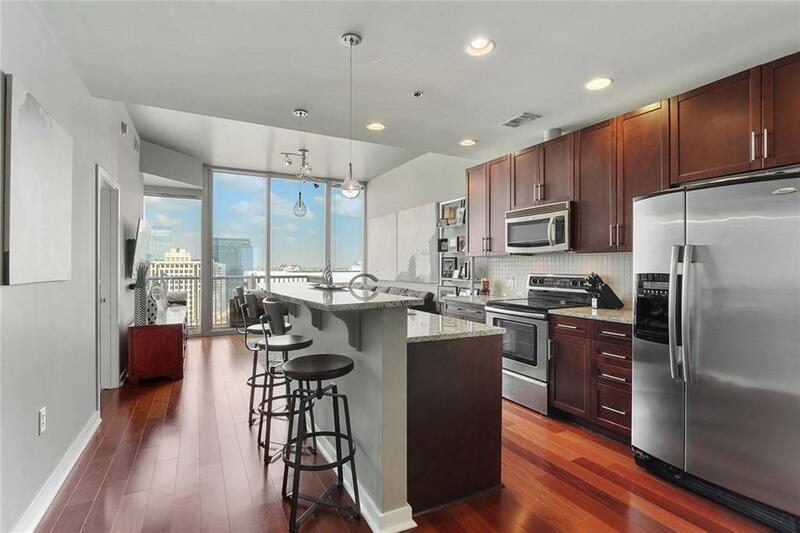 The Open Concept Kitchen w/ Granite Countertops, Stainless Steel Appliances, Brazilian Cherry Wood Cabinetry and Large Island overlooking the spacious Living Room. The Bedroom has a Stone Accent with Floor to Ceiling Window. The Master Suite Includes Granite Countertops, Tiled Wall in Shower, Custom Closet. 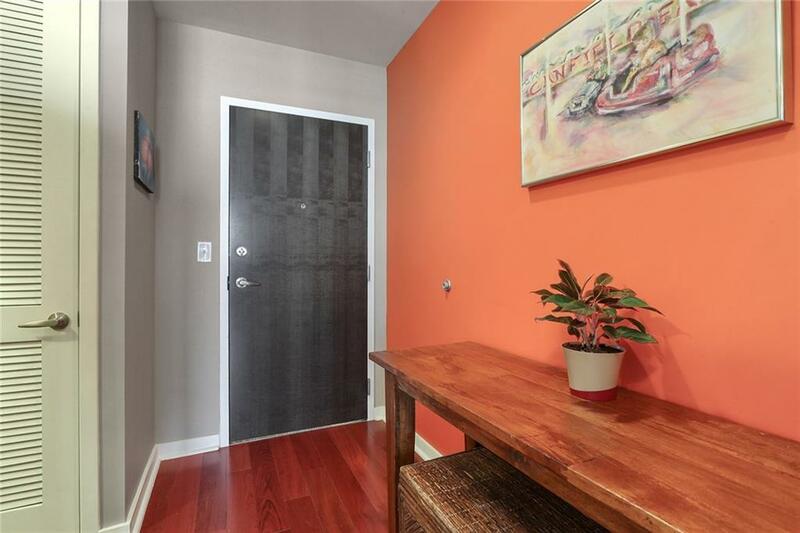 Featuring Hardwood Floors, New Light Fixtures, Office, and Fresh Paint. 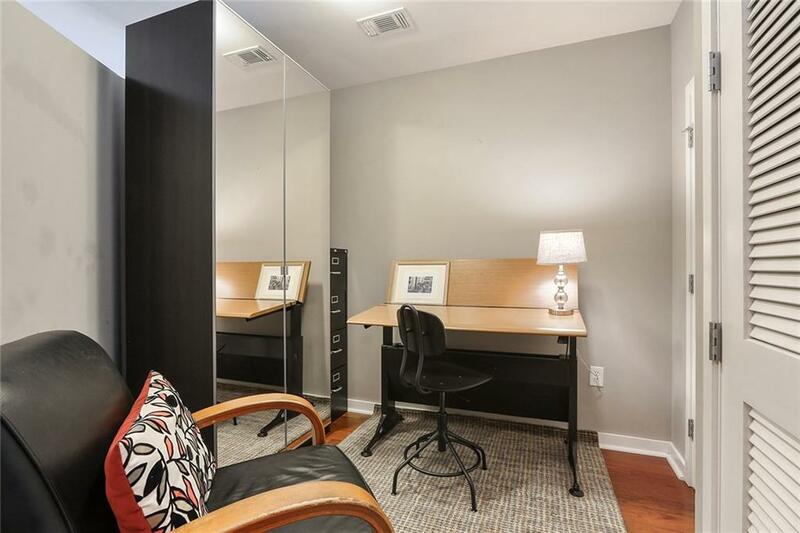 Amenities Include Rooftop Pool, Physical Fitness Center, Outdoor Living Space.